Bay Area institutions reexamine security after Pittsburgh shooting – J. 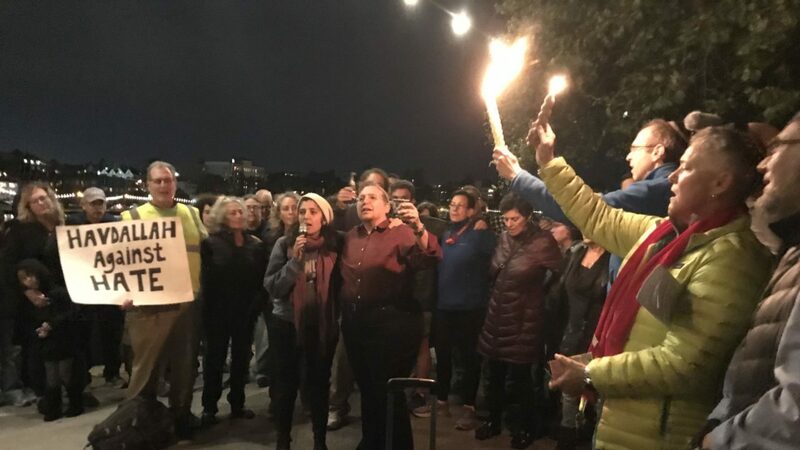 State Assemblymember Marc Levine was driving to Shabbat morning services at Tiburon’s Congregation Kol Shofar this past weekend with his 12-year-old son, Wyatt, when the impact of the deadly synagogue shootings in Pittsburgh flashed in front of him. 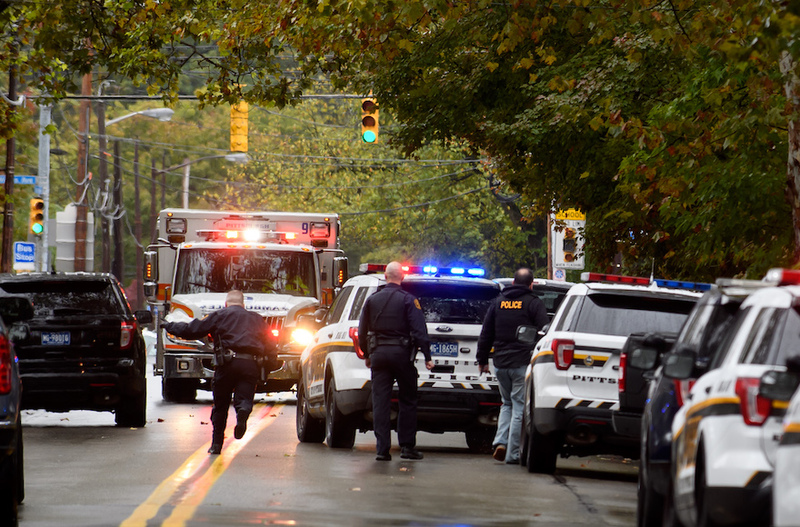 Eleven congregants were killed at the Tree of Life synagogue in Pittsburgh in one of the deadliest attacks on Jews in U.S. history. The suspect, 46-year-old Robert Bowers, said “I just want to kill Jews” as he surrendered to police. The Pittsburgh-area truck driver, who faces 29 charges in the shooting rampage, had frequently posted anti-Semitic threats online. 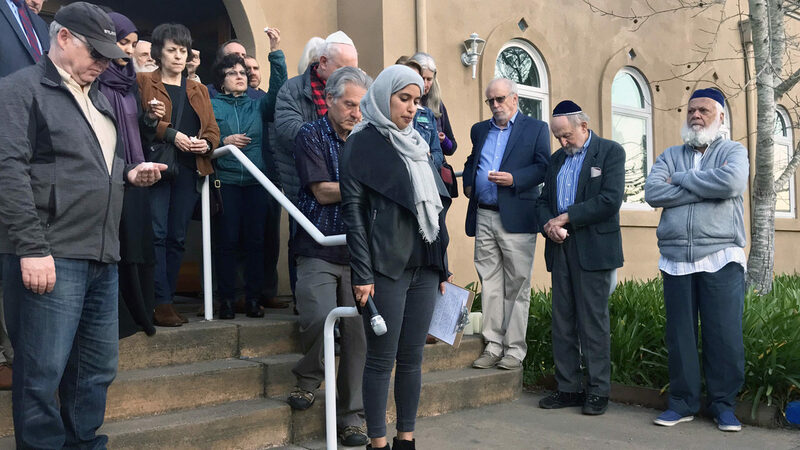 The shootings led to prayer vigils and memorial services throughout the Bay Area — with more on the way. And they also had an immediate impact on security arrangements at synagogues and Jewish institutions. Within hours after the Oct. 27 shootings, the Silicon Valley Jewish Film Festival had hired an off-duty police officer — armed and in uniform — for all its remaining screenings, and Bay Area synagogues had either reviewed or tightened security plans. “It is truly unfortunate that an event as joyful as the film festival must face the harsh everyday ugly realities that are way too common across the country,” festival board president Mark Levine said in a message to patrons. In a pattern seen across the region, Congregation Beth David in Saratoga said it would have a guard posted outside the synagogue on Shabbat mornings and during Hebrew school on Sunday mornings and Wednesday afternoons “for the foreseeable future.” Synagogue president Bill Beyda said such measures until now had been limited to the High Holidays. JCCs from Santa Rosa to Los Gatos, which have been reviewing security measures ever since a wave of bomb threats at JCCs around the country in early 2017, said they were working with local police to increase patrols. 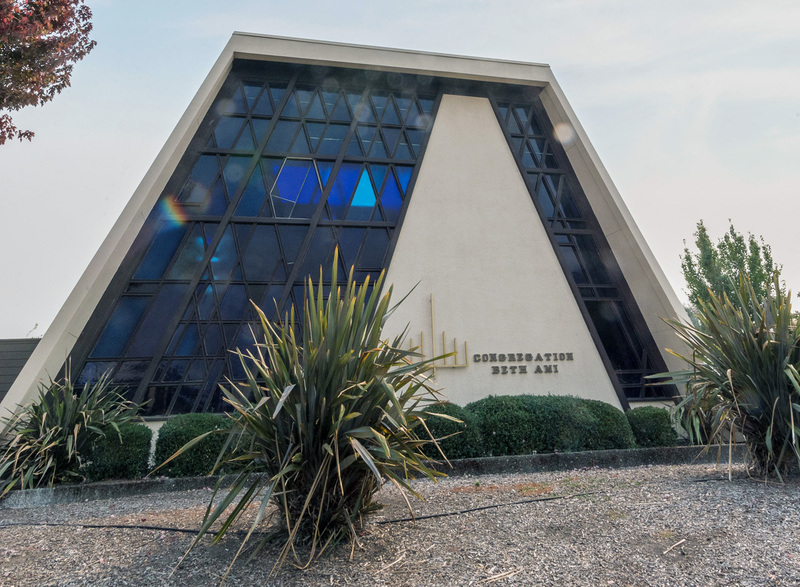 Congregation B’nai Shalom in Walnut Creek enacted rules restricting overnight parking and preventing staff and congregants from being on campus alone, and accelerated its plans to install security cameras. A memorial for Pittsburgh will be held there tonight at 7 p.m.
“With one horrific act, a lone gunman has changed the rules by which synagogues around the country will need to define their security requirements,” congregation president Tim Plattner wrote to congregants. At the Reutlinger Community for seniors in Danville, CEO Jay Zimmer said “we immediately switched into high-security alert mode” and hired an armed guard. The community’s rabbi, Debora Kohn, visited Holocaust survivors and other residents visibly disturbed by news of the shootings. The massacre has also prompted debate about whether to have armed guards in synagogues and other Jewish institutions as a practice. That has been common for decades in Europe, along with security cameras and a regular police presence. 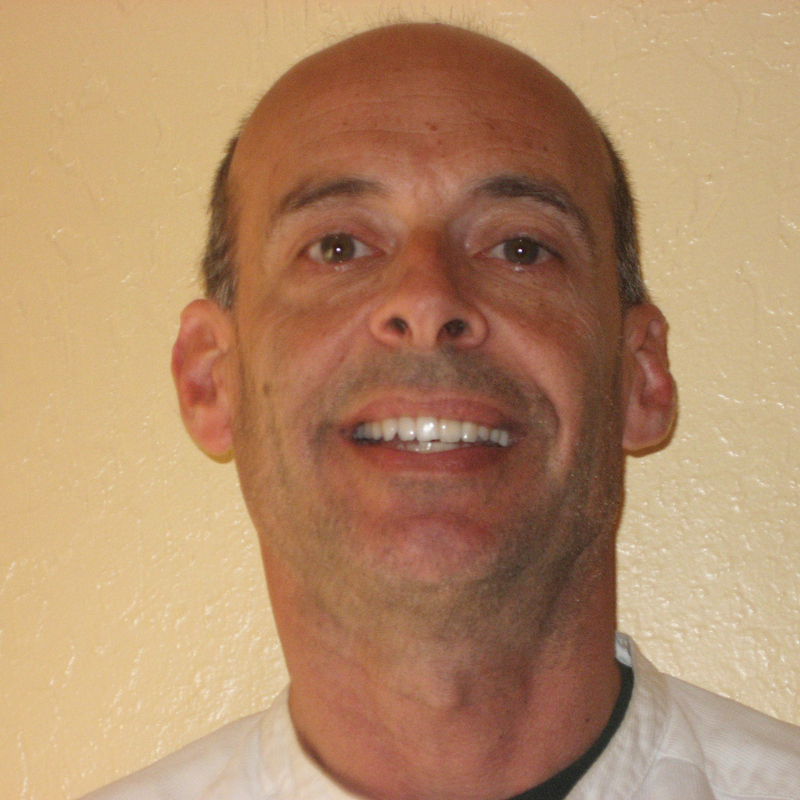 David Golden, a member of Congregation Beth Sholom in San Francisco and a vocal supporter of gun rights, said armed guards inside synagogues are necessary to keep congregants from harm. “Churches and synagogues are probably the safest place for a mass murderer or a deranged mind. They have very good reason to believe that there is nobody in that public space that has the ability to defend themselves,” Golden said. “One of the things which has set us apart as a Jewish community has been our sense of real belonging and safety as Jews in America. Unlike other diaspora Jewish communities, we do not live our Jewish communal life behind security checks and bulletproof glass. 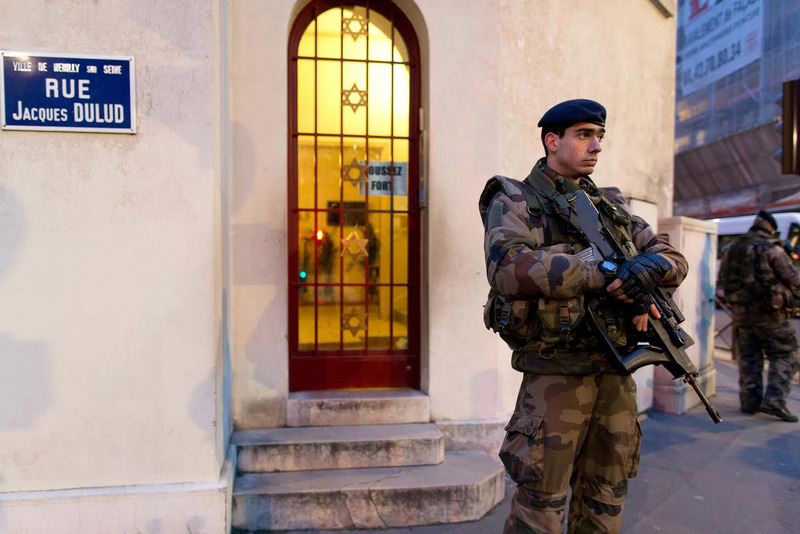 And unlike in Israel, armed guards here in civilian space is not normal,” she said.